In the coming era of wireless communications deployments of larger scale multiple-input, multiple-output wireless systems (e.g., Massive-MIMO), are predicted to provide data capacity increases of several orders of magnitude. To support the move to higher radio density, circuits must be linear, use small die area, be flexible and have low out-of-band noise. Bandpass digital transmitters enable substantial reduction in the area of the transceiver, owing to filtering at high frequency. The Switched Capacitor Power Amplifier (SCPA) is a bandpass digital transmitter that is a potential key enabler for future MIMO communications. It is a unique single block circuit that simultaneously performs a digital-to-analog conversion, a frequency up-conversion and amplification. It is inherently linear and recent enhancements to the architecture allow it to function as a complete digital transmitter front-end, with embedded power amplification. The original polar SCPA concept will be introduced at the circuit level, followed by recent architectural improvements related to multiphase operation and resolution enhancement. This will be followed by additions to the architecture that allow it to operate across a wide frequency spectrum with minimal rolloff in efficiency, and to operate as a direct-digital MIMO transmitter. The talk will detail prototypes that have been realized and will provide insight into the advantages and disadvantages of the architectures and propose how the SCPA will be a key enabler of 5G and IoT communications. Dr. Jeff Walling received the B.S. degree from the University of South Florida, Tampa, in 2000, and the M.S. and Ph. D. degrees from the University of Washington, Seattle, in 2005 and 2008, respectively. He was employed at Motorola, Plantation, FL working in cellular handset development. He interned for Intel from 2006-2007, working on highly-digital transmitters and CMOS PAs and continued this research while a Postdoctoral Researcher at the University of Washington. 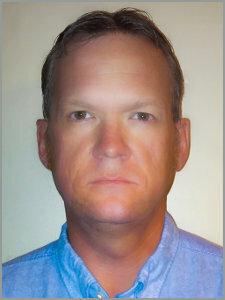 He was an associate professor in the ECE department at University of Utah, where he continued his research on highly-digital TX, high power GaN PAs, power combining techniques and circuits for biological applications. Recently he has transitioned to Tyndall National Institute in Ireland, where he is the Head of RF Transceivers in the Microelectronic Circuits Centre Ireland (MCCI). Dr. Walling has authored ~60 journal articles and conference papers and holds four patents with three pending. He received the Outstanding Teaching Award at University of Utah in 2015, the HKN Award for Excellence in Teaching in 2012, Best Paper Award at Mobicom 2012, the Yang Award for outstanding graduate research from the EE Department at University of Washington in 2008, an Intel Predoctoral Fellowship in 2007-2008, and the Analog Devices Outstanding Student Designer Award in 2006.